Shop for Cookies, Unique Items and Gifts with Taste! 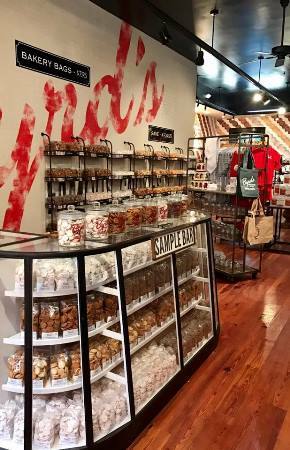 Sample Any of Our Flavors at Our Sample Bar! 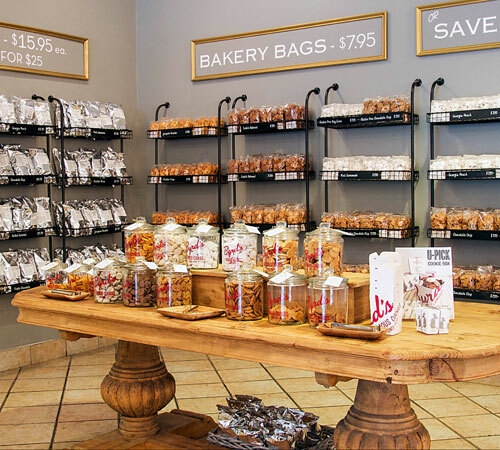 Our flagship store is located at our bakery at 6700 Waters Avenue. 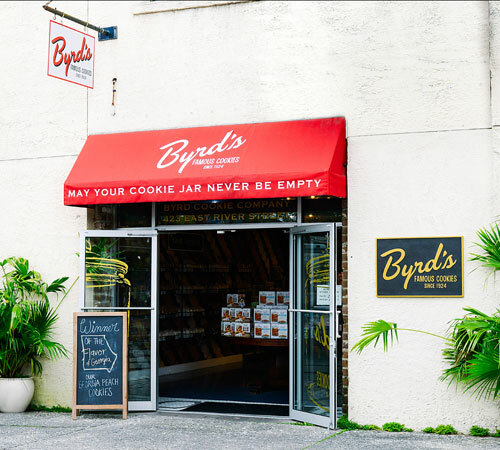 You'll smell our cookies baking before you even enter the store! 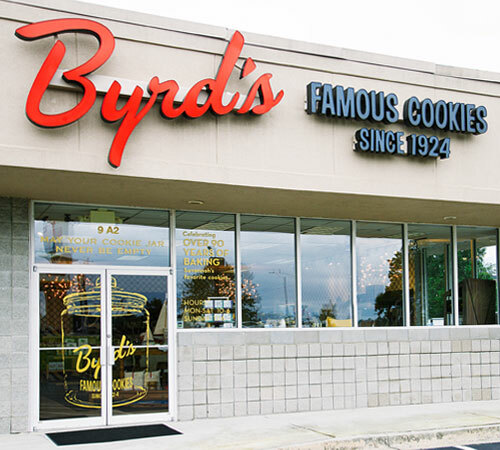 Like all of our locations you can sample all of our Famous Flavors and decide which ones are your favorites. 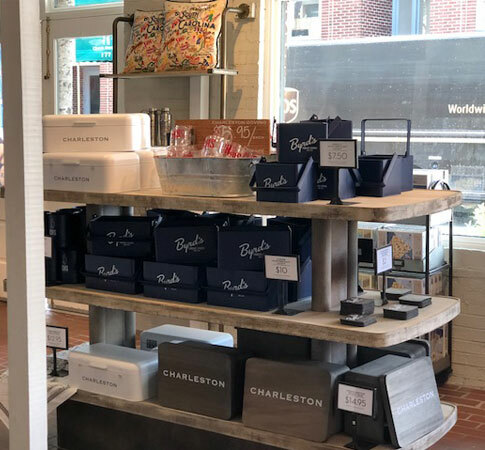 Locals love to shop our selection of gifts, gourmet items, and curated selection of boutique wines. Ask a cookie crew member about cookie pairings. OUR HOURS Monday - Saturday 9am to 6pm. Sunday Noon to 5pm. Shop for Cookies Unique Items and Gifts with Taste! 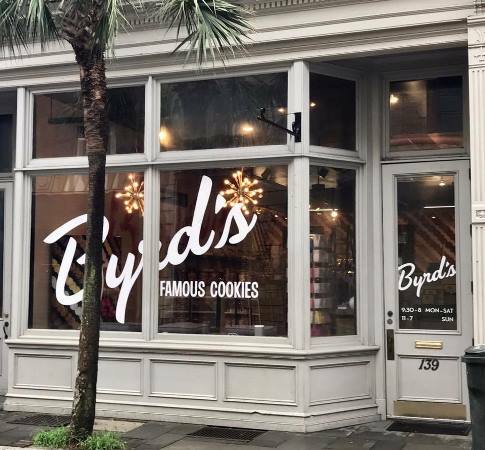 After 90 years, Byrd Cookie Company has returned to downtown Savannah with their new store in City Market. 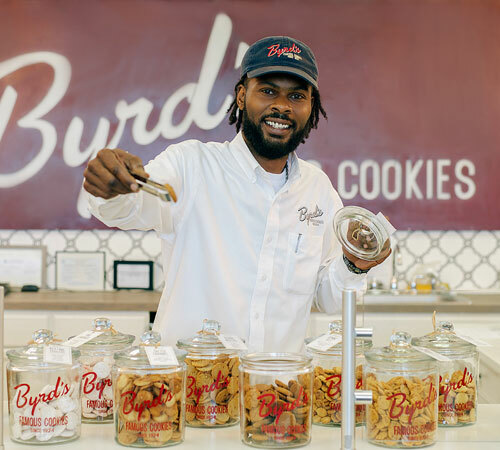 Come sample all the different cookies we bake! 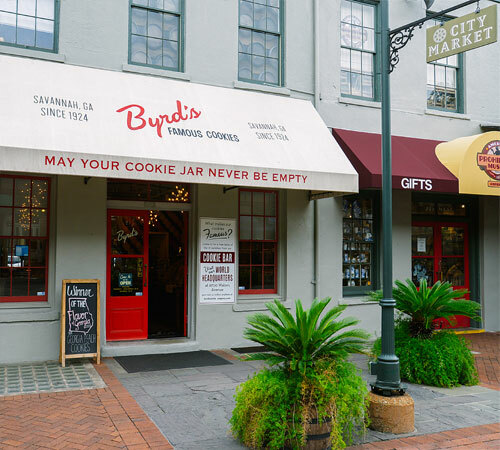 This store contains all of our delicious cookies as well as some of our local favorite gifts and gourmet foods. OUR HOURS are Sunday - Thursday 10am to 8pm. Friday - Saturday 10am to 9pm. 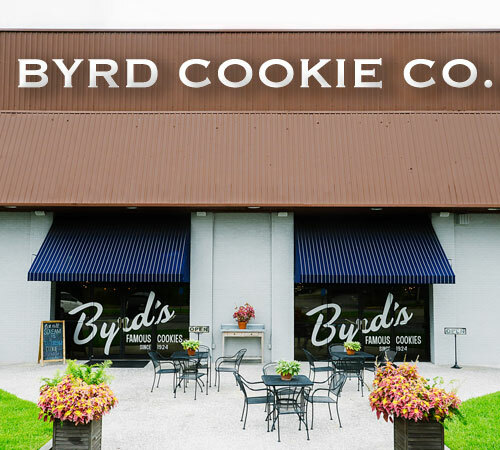 Byrd Cookie Company is now on River Street. Come sample all the different cookies we bake! 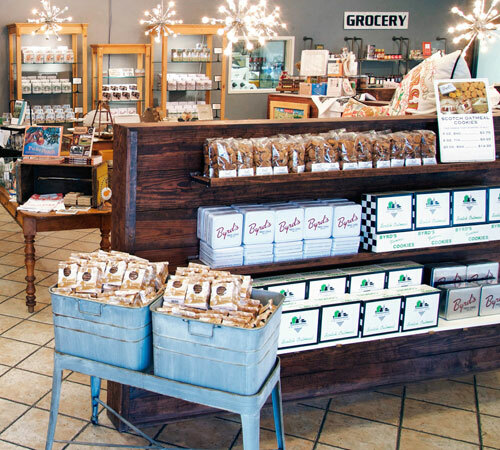 This store contains all of our delicious cookies as well as some of our local favorite gifts and gourmet foods. OUR HOURS are Sunday - Saturday 10am to 8pm. Visit us at our location in Pooler, GA! Located off of the Pooler Parkway, next to SAM's. 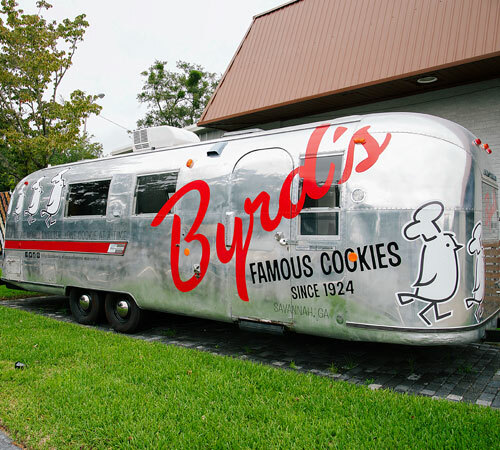 As always, you can step up to the Cookie Bar to find all of your familiar flavors, and maybe taste a new favorite. We also have a great selection of gifts and specialty pantry items and we can do custom gift baskets for you too! 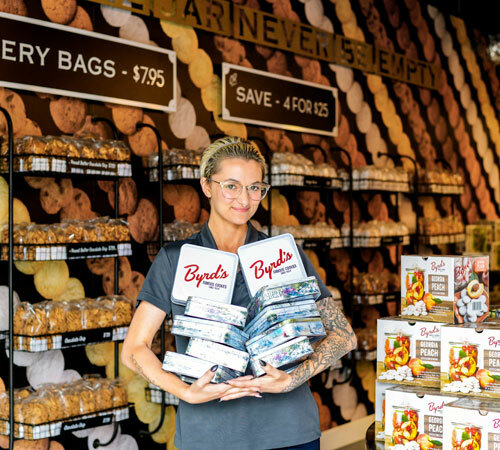 Need to ship your delicious cookies home? Our Pooler Cookie Crew is ready to help! Open 7 days a Week. OUR HOURS are Monday - Saturday 10am to 6pm. Sunday 12pm to 6pm. 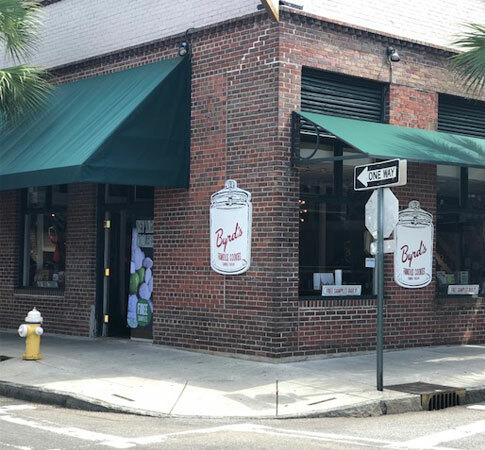 Visit us at our original location in Charleston, SC! Located on historic Market Street, just steps away from King Street and the Old City Market. 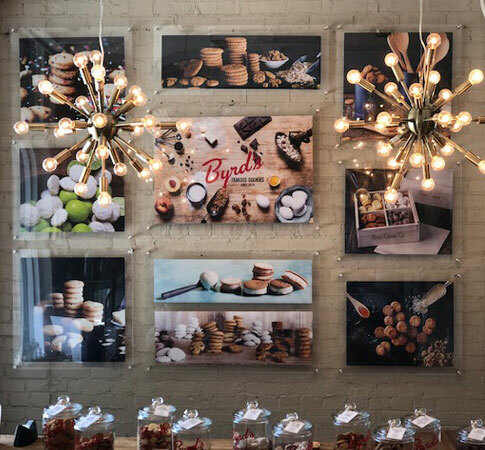 You can step up to the Cookie Bar to find all of your familiar flavors, and maybe taste a new favorite. 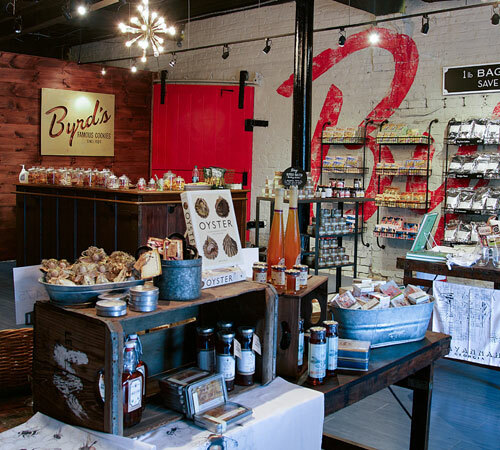 We also have a great selection of gifts and specialty pantry items and we can do custom gift baskets for you too! 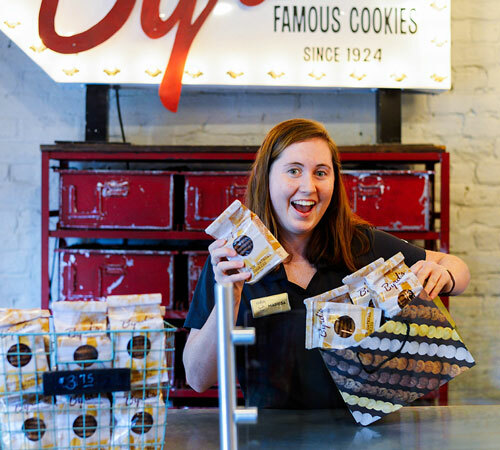 Need to ship delicious cookies home or to a friend? Not a problem, our Cookie Crew is ready to help! OUR HOURS are Sunday - Thursday 10am to 6pm. Friday - Saturday 10am - 8pm. 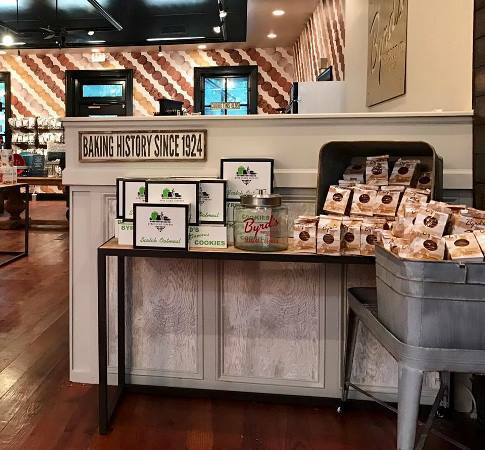 Stop by our newest store in Charleston, SC, conveniently located steps away from historic City Market, to sample a variety of flavors at our Cookie Bar and to enjoy an exceptional selection of gifts. 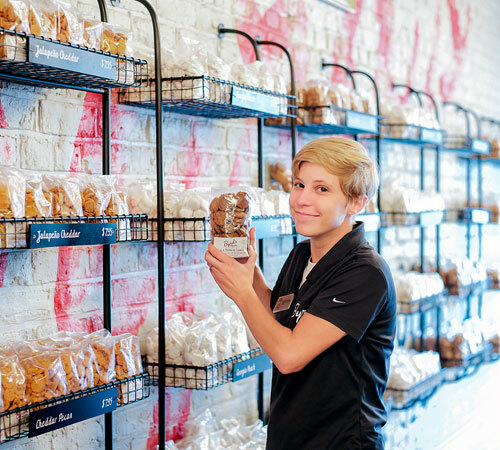 Shipping is always available, and our Cookie Crew is ready to help you. OUR HOURS are Monday - Thursday 9:30am to 8pm. Friday - Saturday 9:30am to 10pm. Sunday 10am to 6pm.